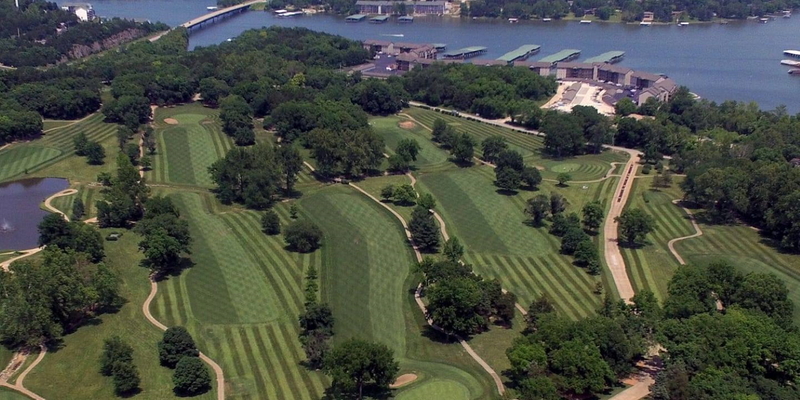 Lake Valley Golf & Country Club is an 18 hole championship golf course located near Camden, Missouri in the beautiful Lake of the Ozarks region. The course welcomes public play with its almost forty years of maturity offering something for every skill level of golfer. 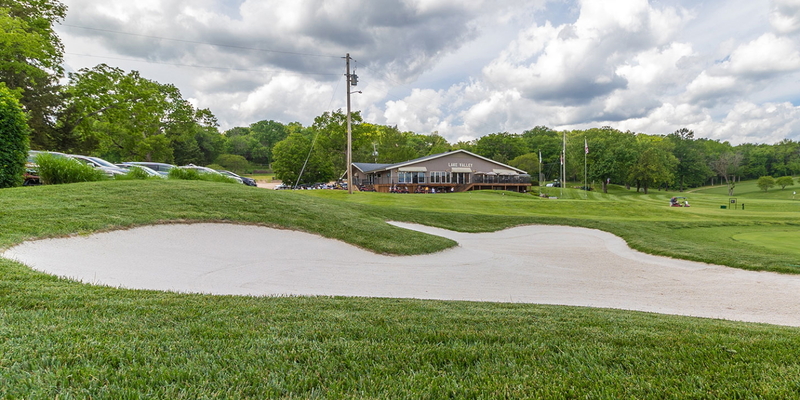 Lake Valley is host to a large number of tournaments and group outings throughout the year. Designed in 1967 by Floyd Farley the golf course offers a unique combination of six par threes, six par fours, and six par fives with a cumulative par of 36-36-72. Lake Valley features zoysia tees, lush Bermuda fairways, and bent grass greens. The gently rolling terrain features player friendly fairways and quick, undulating greens making this a course that is enjoyable for the average player yet challenging for the skilled golfer. The scenic beauty of the elevation changes display the beauty of the Lake of the Ozarks and will leave a lasting impression on every visitor. Although not especially long (6,431-blues), the rolling hills will afford you with the opportunity to hit every club in your bag, and will challenge you to execute a variety of shots in order to score well. Located on the quieter west end of the Lake of the Ozarks, Lake Valley has long been considered a "must play" when visiting the area. Onsite facilities include a Pro Shop, the Greenside Bar and Grill, a practice putting green, driving range, swimming pool, tennis court. If you are looking for a site to hold your next golf outing you should consider Lake Valley as the place to go. Just three miles West of Camdenton off Highway 54. Turn on Lake Road 54-79 to find entrance on the right. Tee Times accepted within 30 days of your play date. Lake Valley offers a variety of membership classifications to fit everyone's need. The Regular Full Membership includes unlimited golfing privileges, as well as, use of the swimming pool and tennis court for you and your family. Lake Valley also offers single, social and other options. 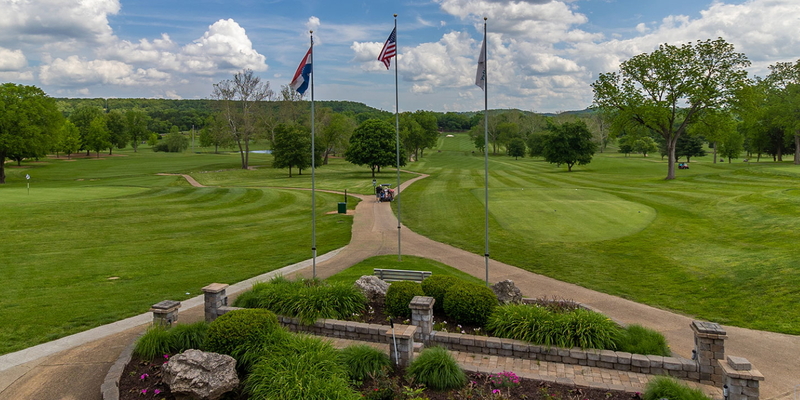 Contact Lake Valley Country Club at 573-346-7218. 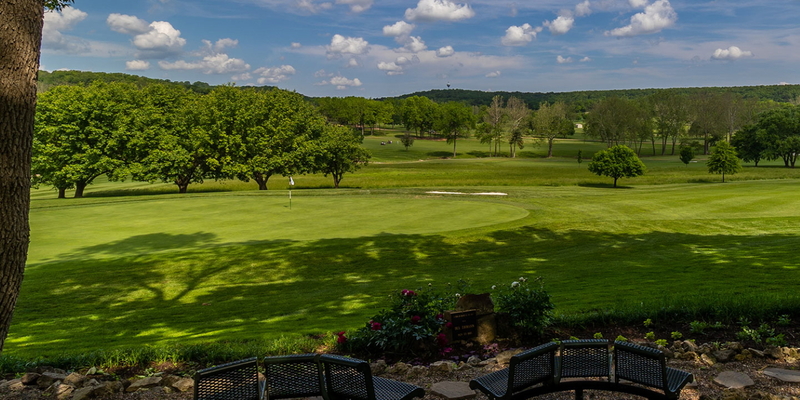 Contact Lake Valley Country Club at 573-346-7218 for onsite or nearby dining options. This profile was last updated on 03/06/2019 and has been viewed 14,453 times.